For more than 100 years, family-owned Ray N. Welter Heating Company has provided HVAC repair and replacement services throughout Minneapolis and the metro area. While Welter Heating has been a member of the Minneapolis community for many years, the HVAC market is very saturated, and building brand awareness remains a main objective of their digital marketing efforts. With the mild spring season on the horizon, Welter Heating wanted to continue to raise brand awareness, drive traffic to the site and engage meaningfully with its social audience. 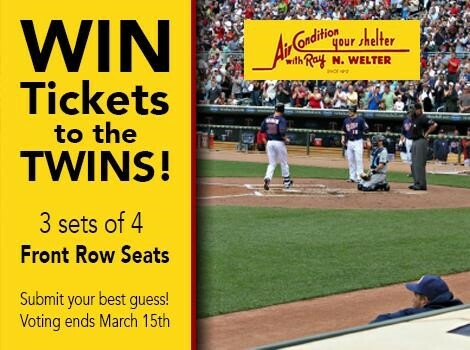 TopRank Marketing partnered with Welter Heating to launch a trivia contest on social media that featured a chance to win front row tickets to an upcoming Minnesota Twins baseball game. 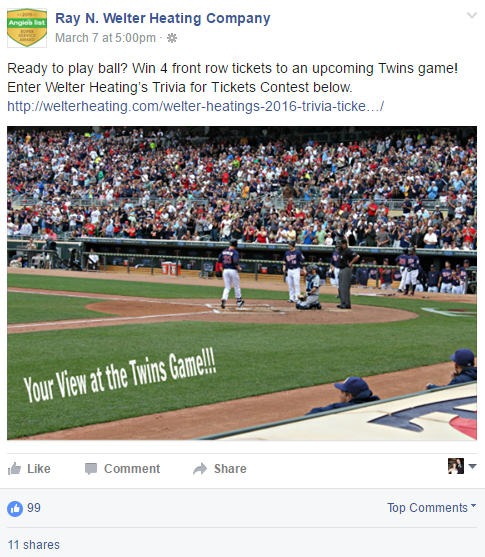 Using boosted Facebook posts, as well as unboosted posts on other social media pages, the contest aimed to leverage Welter Heating’s current and desired audience. 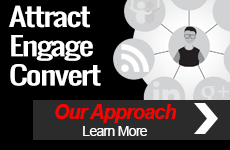 Prior to launching the contest, TopRank Marketing developed all the necessary website copy, contest rules, social messages and custom social media imagery. We also created the boosted post campaigns. Once the contest entry period began, TopRank Marketing monitored social media accounts on a daily basis to respond to post comments and track engagement progress. After an eight-day submission window, the contest ended and TopRank Marketing provided Welter Heating with the three winning participants so they could move forward with handing the tickets off. Following the game days, we’ve asked the winners to share a photo or two of them at the game, which will be reposted to Welter Heating social pages. During the eight days of the contest, the entry form landing page received 298 pageviews. 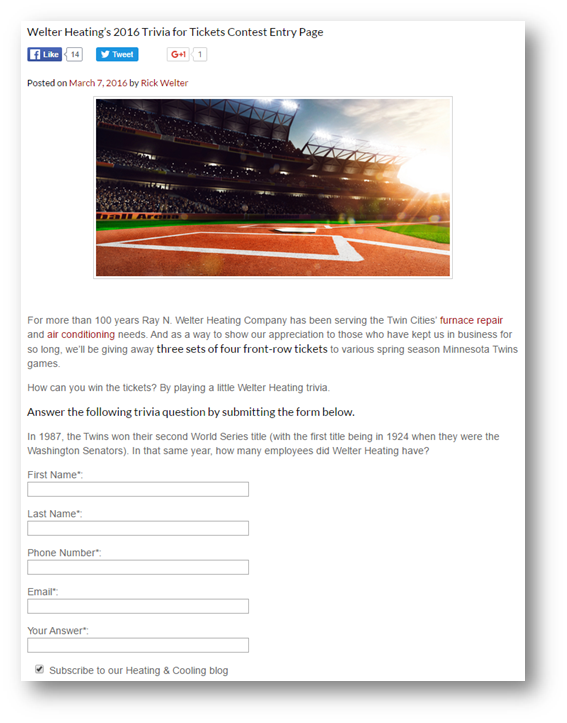 A total of 50 people submitted answers, with 30 of them opting into Welter Heating’s newsletter and email list. 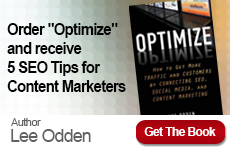 In addition, we saw a 166% increase in overall website traffic as compared to the same period last year.